A tonsillectomy can be a freeing event! My two year old grandson has recently been relieved of some very enlarged tonsils and adenoids which were an obstruction to his breathing. At night he struggled to breathe freely. When the obstruction was removed he could sleep freely without the struggle, breathing like a healthy 2 year old. I have a spiritual obstruction constricting my awareness of the breath of God in my soul. My focus to prove that I am enough can constrict my ability to live freely. The struggle for perfection and competition with comparison to others is a drag on my soul. You’re a soul made by God, made for God and made to need God — which means you were not made to be self sufficient. Our soul is the most important part of us. Our identity is not found in our doings but in our being a child of God. Our identity drives our thinking and beliefs. My identity that I am not enough drives my belief that I must work harder to prove my worth. This creates a cascade of thoughts that lead to anxiety and fear. Thoughts create the flow of our of the brain chemistry (ie. neurophysiology) which ultimately impact the health of the physical body. This fact points to how the brain is a responsive organ of our body controlled by our chosen identity. An identity of vulnerability and fear produces anxious, obsessive thoughts that have a negative reaction in the brain chemistry impacting memory, heart rate, blood pressure, restlessness among other dysfunctions. However, an identity of belonging to a loving God produces beliefs of security and peace that free the brain of unhealthy neurophysiology and strengthens the body. How do I center the identity of my soul on God’s love rather than my fears ? Psalm 46:10 gives a simple answer to this complex struggle. BE STILL AND KNOW THAT I AM GOD. I WILL BE EXALTED AMONG THE NATIONS. I WILL BE EXALTED IN THE EARTH. In this scripture the word “still” in Hebrew (raphah) is an action verb that means to cease, to let drop (as arms in battle) relax, sink, throw down. In Hebrew, Raphah is not defined as “rest” it is an intentional act. BE STILL does not mean to be unconcerned, inactive or silent, impatient or restless; rather it means to be quiet in striving. TO CEASE STRIVING. Striving involves struggle, fighting for something. Centering is the key to Ceasing. Attention, all! See the marvels of God! He plants flowers and trees all over the earth, Bans war from pole to pole, breaks all the weapons across his knee. “Step out of the traffic! Take a long loving look at me, your High God, above politics, above everything. We have a choice, a will to work at striving to gain ground OR Cease striving and be grounded in Grace. The first step to being STILL is to focus on being grateful for the great-fullness of God, trusting His love. Begin today to have an active awareness of the great-fullness of God as the exalted creator and author of perfect love. To be “STILL” is a challenge for me! I was reminded of that struggle recently as I was gazing over the Pacific ocean from a restful vantage point on the campus of Pepperdine in Malibu California. It was sun rise the day following my presentation and I had no further commitments for the week, however I was struggling to STILL my mind and just attend to the beauty of the vista before me. The picture included in this blog was actually taken in that still moment of sun rise. To STILL my focus on the present, absorbing the presence of the moment should be simple. Simplicity can be complex. The simplicity of present focus, attending to the moment, requires an intentional release of the complicity of concerns from past or future moments. To still the mind one must loose the self and rest the soul. Self feeding can be often consumed by the need for significance. Fear of disapproval can be a hunger that is never satisfied. This consuming focus can become an obsessive thinking pattern which does not rest, even when a task is done. Fear of what might have not been done well in the past and how can it be done right and the future. The more that we focus on our selves, the more we neglect our souls. That is what was corrupting my attempt to be still. I was focused on the concern of my acceptance and approval. I was neglecting to focus on the reality of my soul. That reality is that there is nothing I can do that will take away or add to God’s acceptance and approval of the essence of my soul. To rest the soul, means to lean into God, focus on His love, His protection, His strength, His presences in you. To let go and BE STILL focus on letting thoughts go and be in the moment. Psalms 46:10 …. To Be Still takes a willing effort to cast off concerns, plans, thoughts and fears. To Be Still is a remedy of rest for the soul and the body. Medical science has proven that the brain of our physical body benefits greatly from a mindful attuning to only the present. The simplicity of present focus is energizing to mind, body and soul. To Be Still as we trust in the reliance of God feeds both soul and self. The noun form “speaks to a specific direction, a guiding motivation in direction”. As a verb, “focus takes action, intentional adjustment for distinct vision to achieve clarity”. “Distinct vision” is specific or set apart from the blur of life. Clearing the blur to facilitate a “distinct vision” for a life direction can be difficult. Most of my life I have had blurry vision, a near sightedness, that required corrective lenses or surgery in order to see with clarity. It takes an intentional action of adjustment to “cure” the distortion of myopic eyes. But what about the eyes of our heart? In scripture the expression – the eyes of the heart is interpreted as meaning spiritual disposition or perception or a singleness of motive*. The eyes focus the heart, which is the essence of the person. The focus, the motivation, disposition or perception of the eyes of the heart has an impact on the whole person. The Good news is we can choose how the eyes of our heart will focus. Do we know the condition of the eyes of our heart? Are they squinty, full of doubt and darkness or open wide to let in the Light? Fear of; failure, being unlovable, rejection, being inadequate, not good enough and a host of other fears creates a filter over the eyes of our heart. This fear filter blurs our focus and hampers a distinct vision and motivation for the life direction we choose. We can take corrective action to clear away this fear filter. It requires of us, an intentional action of adjustment by “setting our minds” (Colossians 3:2) and “fixing our thinking and practicing” (Philippians 4:8-9) on God’s light of truth. Allowing His truth to adjust our focus is a choice. The choice to allow our eyes to be exposed to God’s light is a step of faith away from fear. Choosing to open the eyes of our hearts to a fresh curiosity of wonder and seeking to understand the character of the love of the Divine Father can set us free from fear. A fearless focus gives us clarity to claim the truth of God’s love; lighting our path of life. Focus or Flounder? How do you engage with life? Without intention most of us flounder through life with only a vague notion of our priorities. Focus is a choice. There are many habits/practices that can sharpen focus. One practice that has sharpened my focus is to write. When I write I discover there is more clarity in my perspective…Writing has become an effective way to better understand what I am really feeling and thinking. The biggest problem I have is that the urgent things in life always seem to interfere with my quest to “discover write”. I need discipline to write consistently so I am beginning this blog, not to get noticed rather to have a positive impact on my own focus as I invite others to join me in this quest of focus, to have life with intention. Writing can be a true spiritual discipline. Writing can help us to concentrate, to get in touch with the deeper stirrings of our hearts, to clarify our minds, to process confusing emotions, to reflect on our experiences, to give artistic expression to what we are living, and to store significant events in our memories. Writing can also be good for others who might read what we write. And you shall love the Lord your God out of and with your whole heart and out of and with all your soul (your life) and out of and with all your mind (with your faculty of thought and your moral understanding) and out of and with all your strength. This is the first and principal commandment. Holy living is Wholly living….. focus is paramount! Welcome to Focus – Heart, Soul, Mind, Body! This blog is about you. To give you a place to be inspired and informed as you inspect your life focus. To focus with your heart, soul, mind, body. Focus gives clarity with calm presences to move forward with purpose. Focus gives freedom. My life focus is directing my heart toward God, the source of love, as I try to magnify his love in my life walk. I am a curious learner that regularly researches and discovers how the science of brain physiology and human development is in harmony with God’s truths. So the content of this blog will have applications of spiritual truth, scientific facts and therapeutic wisdom that will bring clarity to our life focus to live life intentionally, wholeheartedly, mentally, emotionally and physically. Let us pursue our life FOCUS! We throw open our doors to God and discover at the same moment the he has already thrown open his door to us. We find ourselves standing where we always had hoped we might stand–out in wide open spaces of God’s. Grace and glory standing tall and shouting our praise. He brought me into a broad place; rescued because he delighted in me.V36. You gave me a wide place for my steps under me, and my feet, do not slip. “Open”, “Spacious” , “Broad”, ” Wide”…These words stirred my heart as I read them this week. I read them in within in the same quiet time. The gift these words knitted together for me on that morning impacted my sense of belonging and security in my Father. It lifted and lightened my spirit. What a God we serve! Change, a word of inspiration or dread? How is change possible? The above quote by Einstein implies that a stuck mind creates life problems so a changed mind must proceed a changed life. Habitual thinking patterns are created by rigid brain connections or pathways. 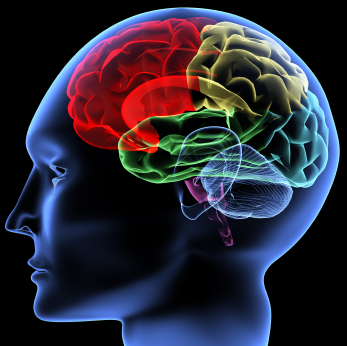 Neuroplasticity is the term used when connections change in response to experience. Being mindful, having a mindful awareness is a way of intentionally paying attention to the present moment from a stance that is nonjudgmental and nonreactive i.e. a form of internal “tuning in” to oneself. Mindful awareness is a form of experience which seems to promote neural plasticity. In his book The Mindful Brain, Daniel J. Siegel states studies have shown that neuroplastic changes not only reveal structural alterations, but they are accompanied by changes in brain function, mental experience and body states. This evidence indicates that true life change begins with changes in the brain. In future blogs I will expound more on the application of this mindful awareness that promotes change. What is your “hole in the sidewalk”? He had habits that were contrary to the desire for his life, a commonality among mankind. The best way to promote awareness of pitfalls in thinking that have sabotaged the desired action for change is to name them by writing them in a journal OR share them with this blog community. With “eyes open” let’s begin to correct our vision for change. New year, New Growth? Or Decline? First time to type the first day of the new year! The beginning of a new year is a time of reflection. Many greet the new year with a renewed determination to continue personal growth; focusing on life learning, living healthy, strengthening relationships, and growing closer to God. OR others face the new year with regret, fearfulness and lost hope. For the Amarillo community, the end of 2010 was fraught with many unexpected tragedies and loss. In addition to these public tragedies, many face the personal loss of jobs or marriages, addictions, illness, or battered relationships – the list is endless. How can we ensure that we begin the new year with hope and a resolve to grow? We can’t stand still. In life, we must move forward in growth or go backward in decline. Is the direction a choice? Can we choose to go forward weighed down with sorrow? We can’t control what happens to us, but we can control how we respond. We can choose to grow through loss, to be transformed, to become resilient and take what we learn to positively impact those around us. OR we can allow the loss to define us. We can loose our identity in the midst of our grief and decline into hopelessness. Loss is a part of life, loss is inevitable, but it does not define us. Taking time to feel and grieve is necessary for a healthy recovery, but this should be the starting point. I have asked a lot of questions in this blog entry and hope to have the opportunity to process the answers in future posts as I renew my efforts to develop this web site. The intention of this site is to encourage and equip readers to live life fully by expanding awareness and perspective of our insecurities and strengths. Feel free to share any thoughts or comments. My hope is that this site can bring together a community that will empower others and ourselves to live life intentionally. Betty Burns was the oldest member of the Healing Hearts support group but she had an inspiring curiosity and an energetic quest for life that was characteristic of a youthful mind. Her mind was sharp and she always showed a sincere and an active interest in the lives of others in the group. The humor that entwined her conversations and her ability to laugh at herself was contagious and very welcomed. The character that lived within her crippled body was beautiful and drew others to seek her company. Even though she knew that her illness would take her life she worked hard to live each day with an optimism, cherishing her connections with loved ones and friends. The theme for the Healing Hearts group was to “not wait for the storm to pass but to learn how to dance in the rain”. A chronic illness is the rain that will never pass but the Healing Hearts group is choosing to learn how to live well, to dance…even in the rain. Betty certainly took that theme to heart and was one of the lead dancers! Helping by offering solutions, advice and resources diminishing a sense of powerlessness. Healing the fractured sense of self, restoring purpose and value. Hope can be realized through this support, lessening suffering resulting in a life living with purpose. This group began in 2004 and continues to be an invaluable presences of support for the members. “Life is not waiting for the storm to pass but to learn to dance in rain. ” This statement has been the theme for this group. They often refer to themselves as the “Dancers”. They have chosen to not let the illness claim their life but to learn a “new normal” that is a daily mindset that gives them the needed motivation to “dance in the rain”. To expand the impact of this support group the “Dancers” have encouraged the development of this blog which will create a venue for sharing support with those that can not physically attend the group.